Gokan takes up Dogen’s opening lines of the Ango fascicle, “Refrain from Unwholesome Action,” and asks what is refrain from? 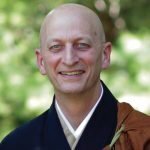 Gokan suggests we cultivate reverence. Even in our ignorance of the impact we have on others, karma is created. 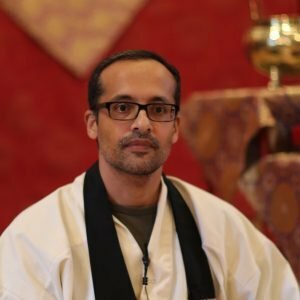 Hogen Sensei explores how we can use dharma practice to investigate what it is to “just refrain from,” both wholesome and unwholesome activity, as Dogen describes in the fascicle being studied during this Ango. 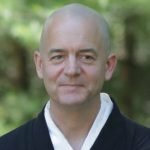 This Fusatsu talk invites us to reflect deeply on Dōgen’s teaching from the Spring Ango study fascicle: “Refrain from unwholesome action. Do wholesome action. Purify your own mind. 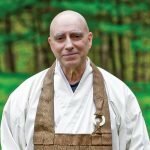 This is the teaching of all buddhas.” Shugen Roshi explores how all actions (positive, negative, and neutral) are unborn, undefiled, and are reality manifest in various ways. Study of our thoughts, words, and actions with an undivided heart offers insight to understanding intentions, desires, and karma. Refraining from unwholesome action is how is “the power of practice immediately actualized” which Dōgen describes.